Preparation is everything when you are about to compete at the World Barista Championship. It's even more nerve wrecking than the event itself. 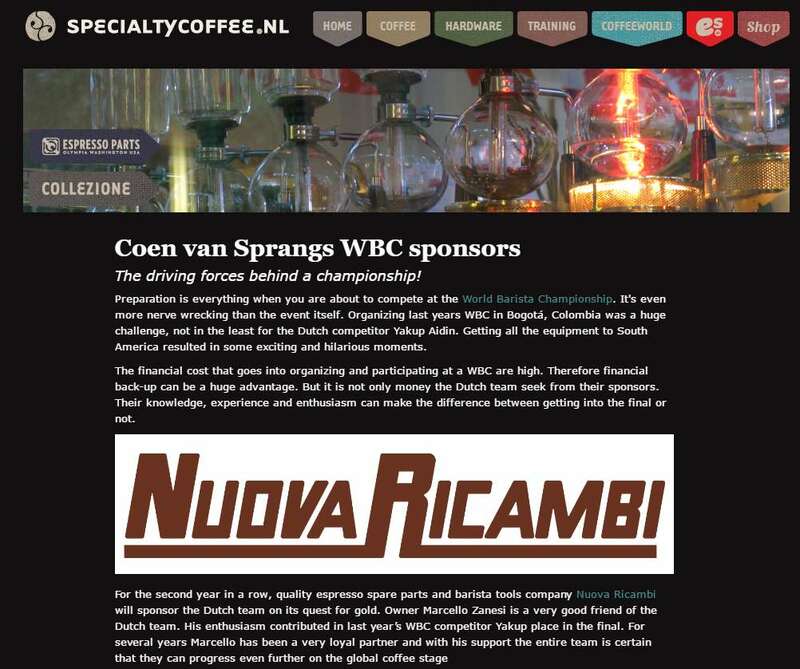 Organizing last years WBC in Bogotá, Colombia was a huge challenge, not in the least for the Dutch competitor Yakup Aidin. Getting all the equipment to South America resulted in some exciting and hilarious moments. The financial cost that goes into organizing and participating at a WBC are high. Therefore financial back-up can be a huge advantage. But it is not only money the Dutch team seek from their sponsors. Their knowledge, experience and enthusiasm can make the difference between getting into the final or not.